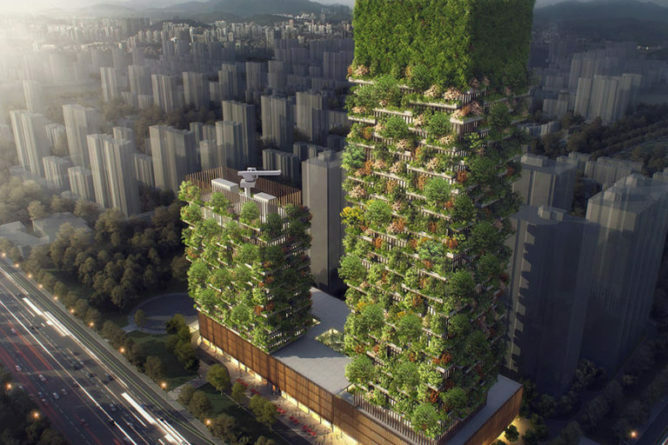 In 2011, plans for a vertical forest in Milan were announced. 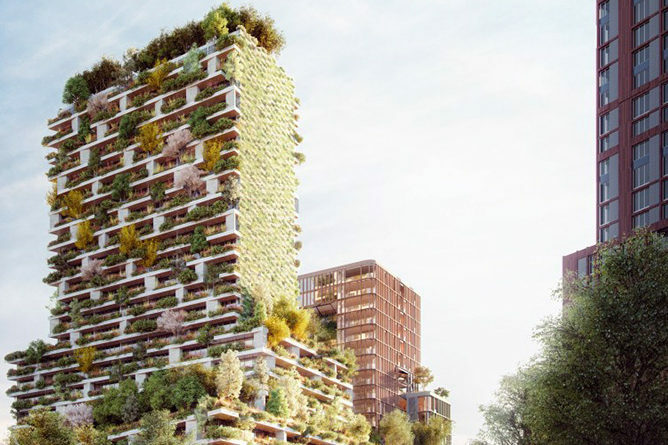 Stefano Boeri Architetti was the brains behind the project, and Bosco Verticale (Vertical Forest) was formally opened in October 2014, featuring a pair of residential towers in the Porta Nuova district of Milan. Bosco Verticale has since won quite a few awards; the jury of International Highrise Award (IHP) 2014 considered the project the world’s most innovative highrise, and the Council on Tall Buildings and Urban Habitat promoted by the Illinois Institute of Technology of Chicago has recognized Bosco Verticale as the Best Tall Building of 2015. 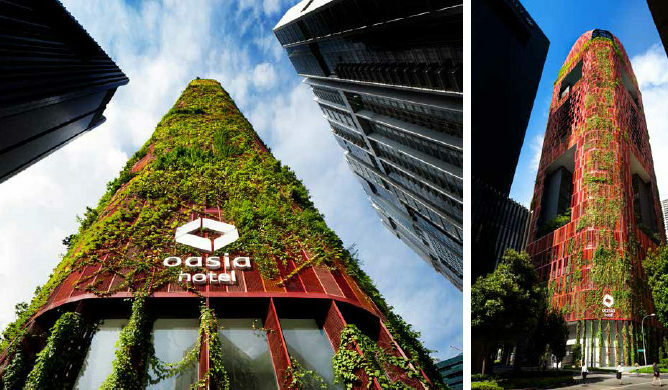 Now the vertical forest concept is being brought to Asia for the first time with the Nanjing Towers, which will rise in Pukou District of Nanjing, China, and is expected to feature 1,100 flourishing trees from 23 local species, as well as 2,500 cascading shrubs and plants. Overall, the buildings are expected to produce 132 pounds of oxygen every day. The taller tower (200 meters tall) will house offices, a museum, a green architecture school, and a private club on the rooftop. The smaller tower (108 meters tall) will house a Hyatt hotel and a rooftop swimming pool, and the podium will contain restaurants, a conference hall, and shops, among others. Furry, verdant tower. Who wouldn’t be interested in that kind of building? Preparations for the 2018 Winter Olympics in Pyeongchang, South Korea, are underway, and such preparations include the construction of accommodations for guests to the county of Pyeongchang in the province of Gangwon, South Korea. The Plus Partners and DNC Architects have worked together to create a tiny house in the city of Gangneung, where the indoor events will be held. Such a tiny house will serve as a home to visitors who will be attending the Olympic events. The tiny house is made of environmentally friendly materials, which complement the beauty of the local area, and it features a windowed living room, a bathroom, a kitchenette, and a loft that functions as a bedroom. More of such tiny houses are going to be built to accommodate more visitors and address the shortage of lodging in the province. Tony Wrench and Jane Faith are living lives that many of us won’t be able to survive, but which a number of us most likely dream about. 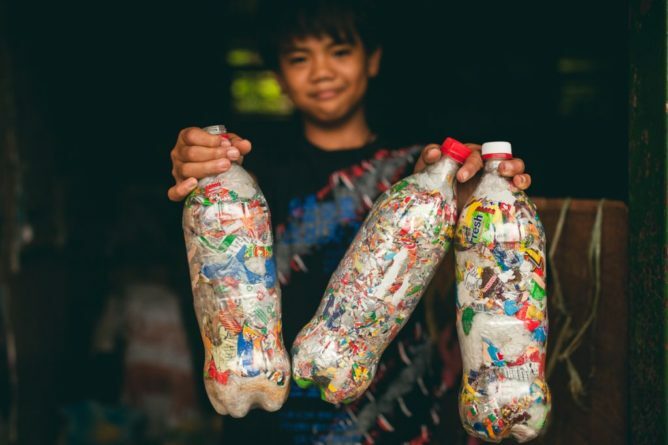 For starters, they don’t own a car, and they earn a living from their music and their homemade crafts. And of course, they live in the house shown in the picture above. The house is called The Roundhouse and is located in Brithir Mawr, Wales. 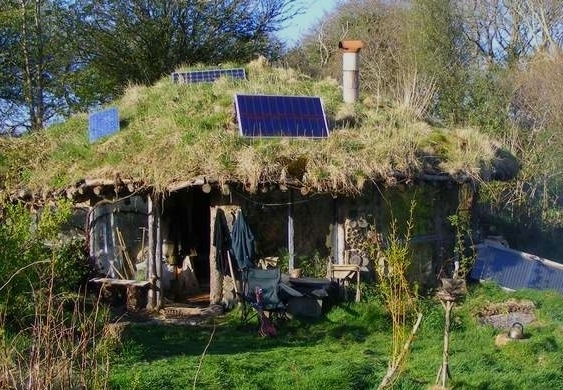 The house is made with wood frame, cobwood, recycled window walls, and a straw-insulated turf roof, and is powered by solar panels on the roof and by a wind turbine located 70 yards away. They have to be pretty careful about using power during winter, however, because, for example, using a laptop too much uses up a lot of electricity and when that happens, the house has to go without power for a while. The house is fitted with a compost toilet. A woodstove is used to generate heat and the owners get their water from a well. 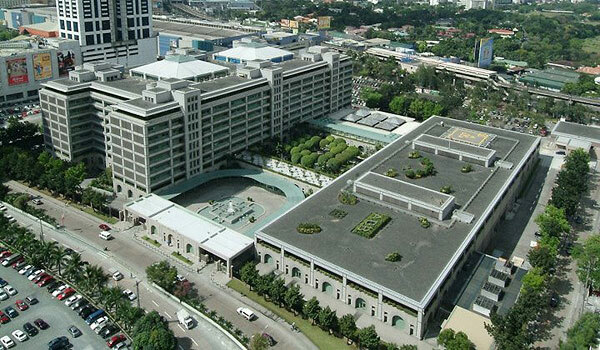 The Asian Development Bank has been hard at work making sure that its headquarters is more energy-efficient. A lot of changes have already been implemented, starting with its Rooftop Solar Photovoltaic (PV) Power Plant Project which generates 613 megawatt hours (MWh) of electricity per year. 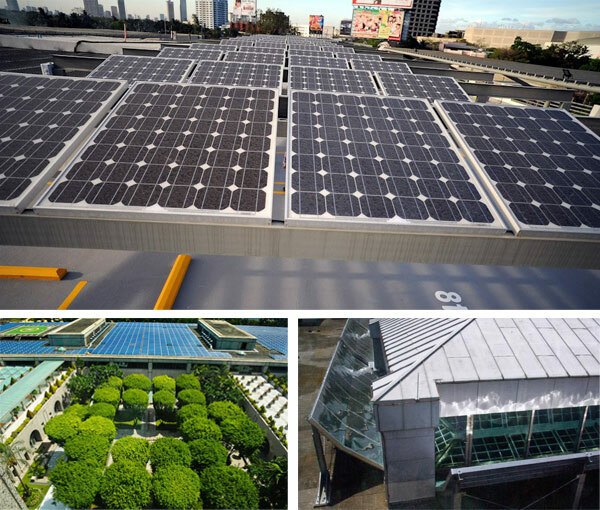 More than 2,000 PV modules were installed on its roof area, and 50 solar panels were installed on the rooftop of the ADB’s parking garage. Lights around the building have also been replaced with LED lamps. Hybrid cars have been added to its fleet as well. Anidolic mirrors are interesting additions to the building, because they work to “scoop” daylight and direct it into the building, thus reducing the need for and use of artificial light. Photos and information from the ADB Facebook page.